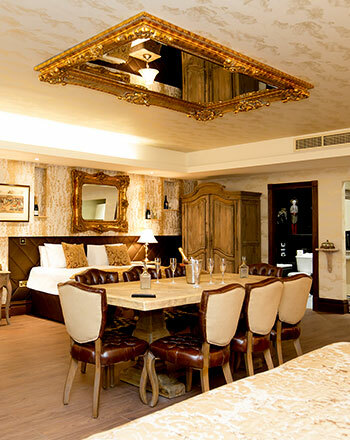 At Signature Living, we’re famous for our spectacular party apartments in Liverpool city centre. Our versatile party apartments offer something special for every occasion. Whether it’s a birthday, hen party, stag do, prom night or simply a weekend treat, we’ve got it covered. 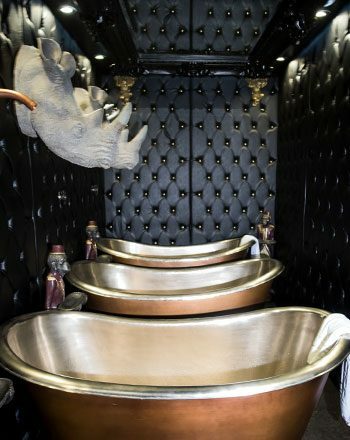 Our unique Liverpool party apartments incorporate luxury facilities without compromising on space. A fusion of style and comfort ensures that our party apartments are the perfect choice for memorable stays in the city. With a fresh approach to group accommodation, it’s no secret that we like to do things differently! At Signature, we think outside the box; where other hotels stop, Signature Living starts. 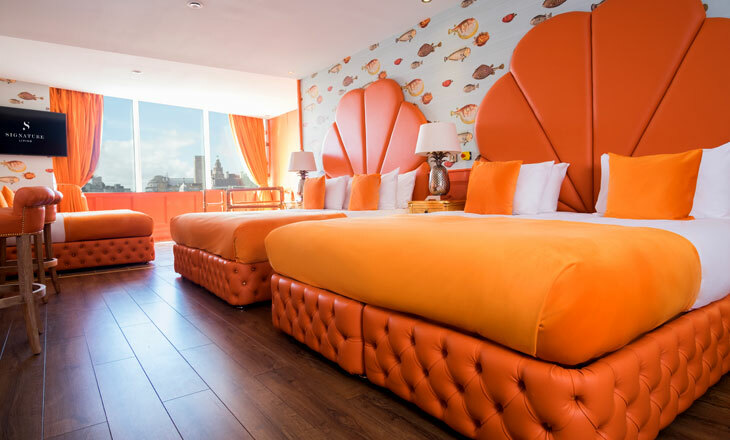 Signature Living city centre party apartments offer an eccentric twist on hotels in Liverpool. Each of our venues is designed with a sprinkle of our signature style, from luxury amenities to dynamic décor. After all, we want this to be a stay that you’ll treasure. We’ve specialised in group accommodation from the very beginning. So, we know a thing or two when it comes to throwing the perfect party. Whether you take a bite of the Big Apple in our New York penthouse or step underground to The Vault, our range of party apartments will leave you spoilt for choice. If you’ll be visiting in a larger group, then worry not. The Vault can sleep up to 30 guests. But whichever space you choose, you can look forward to the most fantastic features. Amenities in our group apartments in Liverpool include everything from fully fitted kitchenettes and dining spaces to cinema screen projectors and sound systems. The layout of each apartment ensures that guests can get ready for a night out with plenty of space. 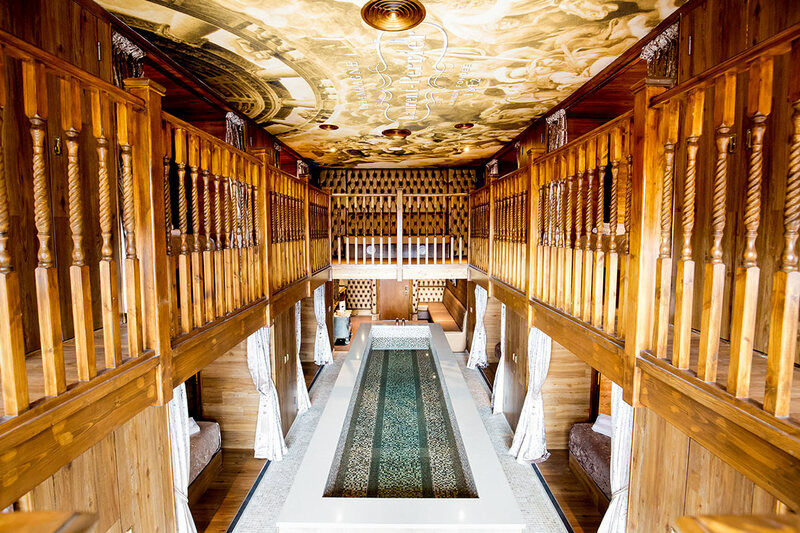 Features can include multiple bathrooms and double whirlpool baths, perfect for a pamper. If you’re in search of a spacious room for your group stay but don’t require the full facilities of an apartment, our Signature Living party rooms could be just what you’re in search for. Each of our dazzling spaces offers an abundance of space and amazing amenities. Our enchanting party rooms are designed with only the most daring décor and creative colours. The picture-perfect rooms are always a hit with our guests and can often be seen on the feeds of social media stars. 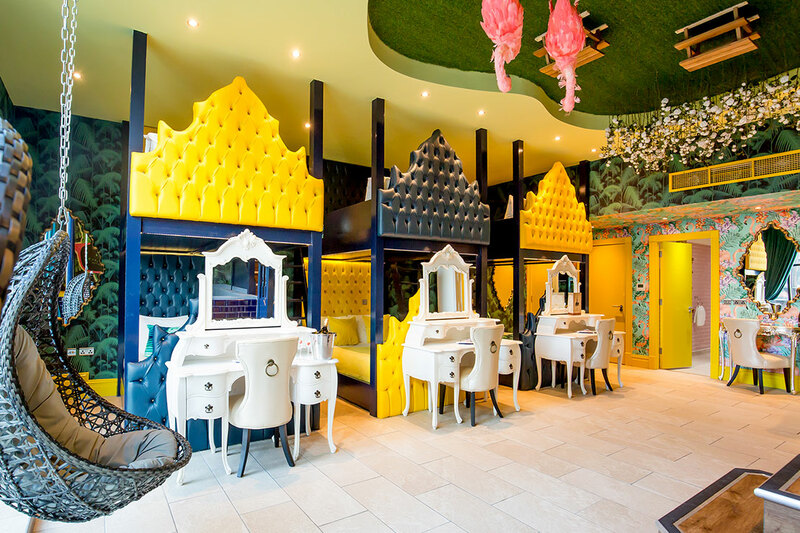 Favourites include the LMAO Suite, Garden of Eden Suite, Creation Suite and Flamingo Room. A world-famous maritime city, Liverpool offers something for everyone. Liverpool is bursting with things to see and do during your stay. With a city centre best explored on foot, you’ll find it scenic and simple to soak up the best of Liverpool. Our party apartments in Liverpool are situated within walking distance from the top landmarks, independent gems and the most atmospheric bars and restaurants. Not forgetting, Liverpool’s eclectic nightlife scene can be found right on your doorstep. That’s one reason why we’re one of the top hen party venues in the UK. 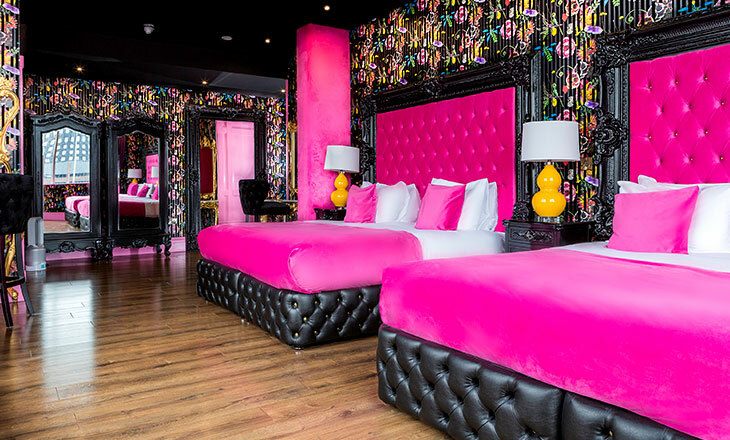 If you’re staying in one of our Bold Street apartments, you’ll discover many of the most popular bars and clubs in Liverpool only moments away. Whether you’re in search of a cosy independent or the neon lights of a nightclub, Seel Street is bursting with character and endless choice. A local favourite is Alma de Cuba, best loved for its historic location, tasty cocktails and dazzling Samba dancers. Alma formerly stood as St Peter’s Catholic Church with original features still enjoyed today. Dance beneath the grand altar and glistening stained glass windows as you take in the unrivalled atmosphere. Ideal for hen parties, stag weekends and birthday parties in Liverpool, why not hire a stylish booth of your own? And the fun doesn’t stop there! Our Mathew Street party apartments can also be found in a prime nightlife location. Walk in the footsteps of the Fab Four as you step out of your apartment and onto the street made famous by four local lads at the Cavern Club. Situated in the heart of Liverpool’s LGBT nightlife quarter in Stanley Street, enjoy some of the best bars & clubs including The Tube, Bar Signature and Noctua for a night on the town you’ll never forget.